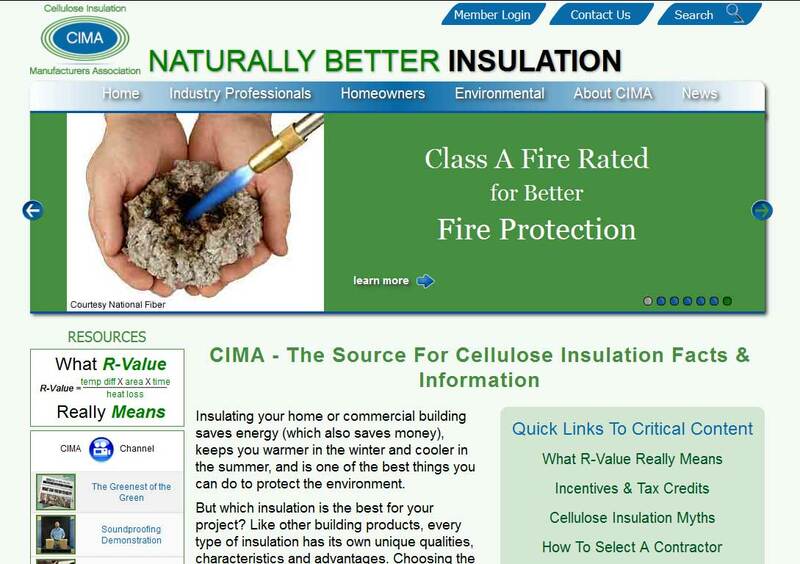 DESCRIPTION: This is a website designed by REDdot Marketing and developed by PTC Computer Solutions to administer and manage the Cellulose Insulation Manufacturers Association. Cellulose Insulation is one of the best options for any home builder or homeowner in terms of insulation benefits as well as Green Building codes. You can find out more by going directly to their personal website, www.cellulose.org, or contact them directly at info@cellulose.org or 1- 888-881-2462.